Last week Dr. Jessica Emery and the team at Sugar Fix Dental Loft traded waterlogged Chicago for the dry desert heat of Scottsdale, AZ. But the weather was really just a perk. 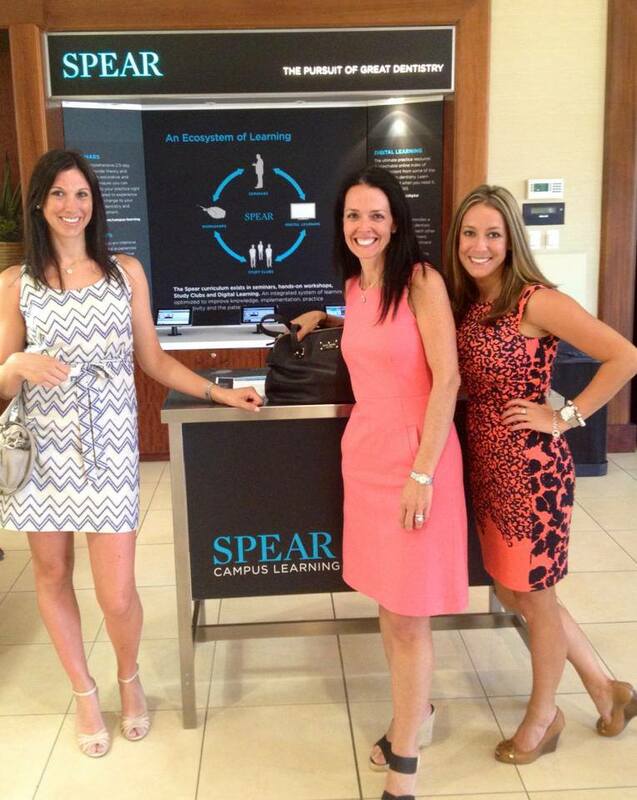 The main reason for the trip was to attend the prestigious Spear Center for Dental Excellence. This post doc institution provides cosmetic dentists and their team a place to go flex their dental muscles, and keep them up to date on advances in cosmetic and restorative dentistry. This particular course was designed to aid us in preparing and presenting complex dental treatment plans. We’re sensitive to the fact that dentistry a science most folks don’t study, but many are forced to participate. Our goal is to communicate our science and findings effectively, so our patients understand their options. Attending this course only added to our already impressive arsenal of communication tools. From a treatment planning perspective, Dr. Jessica Emery has spent a great deal of time refining her process and assembling a team of professionals to assist her in achieving complex cosmetic and restorative outcomes..
Fortunately, a fair amount of the population will never need to understand or address any dental issues of this magnitude. There are, however, many of us that will – myself (Amy) included. Sugar Fix Dental Loft has become known as the premiere center to employ for such circumstances. When your smile requires more than the standard care, it’s wise to seek out a dentist like Dr. Emery who has focused her practice on cosmetic and restorative dentistry. The team at Sugar Fix Dental Loft also carries a skill set geared toward highly complex patients. We understand these cases require more than just a financial investment, time and the emotional undertaking also play a big role. We've successfully walked multiple patients through the clinical, psychological and administrative process of cosmetic and restorative dentistry. If you’re in need of cosmetic and restorative dentistry in Chicago, contact Dr. Jessica Emery and the team at Sugar Fix Dental Loft for a consultation. PS Be sure to check out our cosmetic dentistry before and after gallery for a peak at some of Dr. Emery's work.